Welcome to PhaMix! 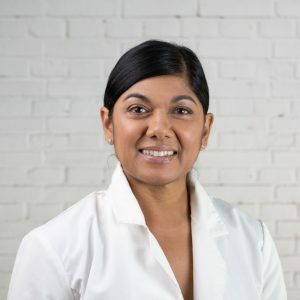 I’m Sharmani, a Pharmacist and the owner and founder of PhaMix.com, an online store that stocks Pharmacist Curated Skin Care Solutions from Head to Toe. You may know me as the face behind Apothekari Dermaceuticals, a Scientific Skin Care line that I created after many years selling cosmetics and learning about the complexities involved with formulating and developing skin care treatments that are both safe AND effective. Before Apothekari Dermaceuticals, however, there was PhaMix (originally, PharmacyMix). Since 2006, this online store has kept customers coming back for our selection of wellness products and a range of pharmacist and dermatologist recommended skin care solutions including a variety of the most effective sunscreens you’ll find anywhere. Relying upon my education, training and practice as a pharmacist, our store is stocked with treatments that make sense. Like you, I don’t want to be marketed to by companies that offer products that don’t respect my intelligence. I don’t want hyped up products that don’t deliver – I want treatments that work and I’m sure you do too. Our goal at PhaMix is to empower you with knowledge to make skin care and wellness choices with confidence. You’ll run when you’re being sold to and know that what you’re buying is what you need and right for you. That’s what you’ll find here. Our store contains products to address your skin care needs from head to toe (and everything in between). We will continue to offer new products that are a good fit for our store and customers. We operate with the principles of Transparency, Honesty, Integrity and Knowledge. Expect straight talk, principled advice and truthful recommendations. Our blog contains articles discussing the latest in skin care, women’s wellness and a little peek into what’s going on behind the scenes. Sign up to our newsletter (link at bottom of our website) for up to date information on new products and promotions and follow along on social media (links at bottom of site) to see what we’re up to. Based in Vancouver, BC, Canada, my staff and I are honoured that you trust us with your skin care and wellness needs. Never hesitate to get in touch if we can be of help. Our Mission Purpose: Empowering women to make skin care choices through education, NOT hype. Subscribe to receive information about new products, skin care tips, and special promotions! Information on the PhaMix.com internet site is intended to heighten awareness of health information and does not suggest diagnosis or treatment. Information is not a substitute for medical attention. If you have or suspect that you have a medical problem or are currently taking any medications, please contact your health-care professional to seek appropriate medical advice and treatment. Information about many products such as vitamins, homeopathic, herbal remedies and dietary supplements have not been evaluated by the FDA or Health Canada and are not intended to diagnose, treat, cure, or prevent any disease. If you are trying a new skin care product it is advisable to apply a test patch to ensure that you will not experience a reaction. Information supplied has been abstracted from information prepared by the products’ manufacturers and while every effort is made to ensure the accuracy of information on this site, PhaMix.com does not represent or warrant that the information is accurate, complete or current. Price and availability information is subject to change without notice.